Around the web, you can find a ton of reviews about Gyrotonics facilities from all over the country as well as write ups that cover the entirety of the system as a whole (not to mention everything we’ve posted on our blog). If you look through all of these reviews covering the Gyrotonic Expansion System and the facilities which house the innovative workout equipment, you will notice an underlying theme across them all: the Gyrotonic and Gyrokinesis workout methods have been universally hailed as one of the best workouts the reviewers have experienced. And just as it’s been universally praised, the system provides a challenging workout for universally every fitness level. SHAPE magazine had some absolutely great things to say about the system in the article We Tried It: Gyrotonic, with writer Abby Lerner noting that “Part of the appeal to me personally was that Gyrotonic offers the mind/body benefits of practicing yoga without any of the stillness that can (on some days) make me watch the clock. Regular Gyrotonic practice also builds core strength, balance, coordination, and agility. And I’m just getting started.” She went on to further explain how Gyrotonics helps to create lean muscles, slim your waistline and fight posture problems brought on by work, among other benefits. As you may know, Gyrotonic Expansion System is often directly compared to Pilates and people feel like they can really only choose one or the other. However, as Deborah McKeever-Watson noted for her Pilates Digest article, “From a teaching perspective, I have enjoyed the freedom Juliu gives his teachers with respect to how his work is taught.” She also adds, “I have found the experience has made me a better teacher of Pilates, but more importantly, a better teacher of movement.” Considering she is a Pilates instructor, her admission that Pilates has helped in her understanding of movement is a huge compliment to Gyrotonics. In fact, many other Pilates and yoga instructors have also signed up for Gyrotonic teacher training and Gyrokinesis teacher trainer because it gives them a more well-rounded experience that they can then relate to their own students. The only real drawback or negative review we found came from fitness blogger Melissa from FitnessNYC. While she applauded the system for being relaxing, challenging on her muscles and for improving her posture, in her review about the system, she said she didn’t’ find Gyrotonics to be stimulating enough to make it her sole workout routine – and that she would need to do it in conjunction with cardio like kickboxing or spinning. We actually have a lot of Raritan Valley Gyrotonic members who feel the same way and use our classes as a supplement to more intense workouts. If you want to see for yourself what all the excitement and praise is about, sign up for a Gyrotonic or Gyrokinesis class at Raritan Valley Gyrotonic. We have people from all across NYC and NJ take advantage of our New Client Special and sign up just to check it out, and then quickly become fans and advocates. Call the studio at (908) 288-7551 or sign up for a class and start experiencing the benefits everyone else is raving about. Have you spent more than your fair share of time in Gyrotonic classes and feel you have what it takes to be an excellent teacher of the discipline? If you are in New Jersey or the greater NYC area, you have easy access to one of the best Gyrotonic Teacher Training in NJ. You can begin with the Gyrotonic Level I Teacher Training Program and work from there to become a certification teacher. Of course, you will also benefit heavily from taking Gyrokinesis teacher training as well as the two practices are so closely entwined. 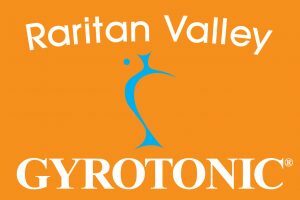 To inquire about the Gyrotonic Level 1 Pre-Training Course or the Level I Teach Training Program in NJ, contact Shirley Wallitsch through the Raritan Valley Gyrotonic website or by calling (908) 288-7551. Become a fitness leader in your community through a fun learning environment and an intelligent way of getting into shape. Plus, learn and test your own strengths by finding out just how capable a teacher you can be with practice and effort. And not only will it take you to greater fitness levels in your own life, it can take you across the globe – as you’ll see in the video below.